Panama City Beach is often referred to as one of the most beautiful cities in the world. The white sugar sand and emerald green waters of the Gulf have been providing vacationers their own taste of paradise for many years. Horizon South Beach Resort is tucked away in Panama City Beach less than a mile from pier park. This beautiful resorts sits directly across the street from the beach and provides its own private beach access. Horizon South offers it’s guests tons of amenities. With four pools, a hot tub, an eighteen hole putt putt course, horse shoes, and an exercise room, there truly is something for everyone. The area also provides ample shopping and dining. Some of the local favorite restaurants include Margaritaville, Sharky’s Beachfront Restaurant, and The Back Porch Seafood and Oyster Bar. Come stay at Horizon South Beach Resort in Panama City Beach and enjoy the beauty of the Emerald Coast. 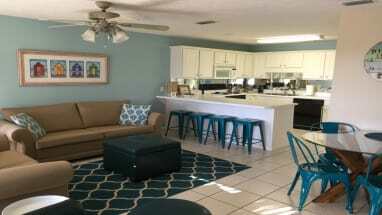 Emerald Coast By Owner is proud to connect you directly with our owners. Book your trip with ECBYO and avoid paying service fees other listing sites charge. Our owners will help make sure your Emerald Coast vacation is one to remember. Contact the property owners with any questions! Just Get Me To The Beach!